On 12 March 1928, World War I flying ace Flight Lieutenant Samuel ‘Kink’ Kinkead took off in a seaplane from RAF Calshot in the New Forest. The nation watched on as he attempted to become the first pilot to break the 300 mph barrier, but the flight was to be his last. and Julian Lewis MP stand by the grave of Samuel Kinkead. As Kink increased his speed and flew low across the water, tragedy struck. The plane inexplicably nosedived, and one of the Great War’s most celebrated pilots died instantly as he struck the water. He was laid to rest four days later at All Saints Church in Fawley, where his grave still stands as testament to his skill and bravery. Now, the New Forest National Park Authority is seeking to keep the memory of Samuel Kinkead alive, and celebrate the history of All Saints at Fawley and the area’s other churches in a new leaflet. The fatal crash was a dramatic end to an extraordinary life, which saw Kink win six decorations for securing at least 33 victories as a fighter pilot on the Western Front and against the Bolsheviks in Russia. He also excelled as a pilot in the annual seaplane race for the Schneider Trophy; at Venice in 1927 he flew at 277 mph to break the biplane seaplane world speed record. The impact of Kink’s life was illustrated by the reaction to his death. His achievements were marked by a leader article in The Times, and by the Secretary of State for Air, Sir Samuel Hoare, who told the House of Commons that, had he lived, he might well have reached the very top of the Royal Air Force. Julian Lewis MP, author of ‘Racing Ace’, the biography of Samuel Kinkead, said: ‘Kink was a real-life ‘Boy’s Own’ hero, venerated by his brother officers. A group of them set up a special fund to pay for his portrait in the RAF Club in London, his trophy at Cranwell and his memorial stone at All Saints, Fawley. His seaplane, designed by R J Mitchell, was a direct ancestor of the Spitfire. 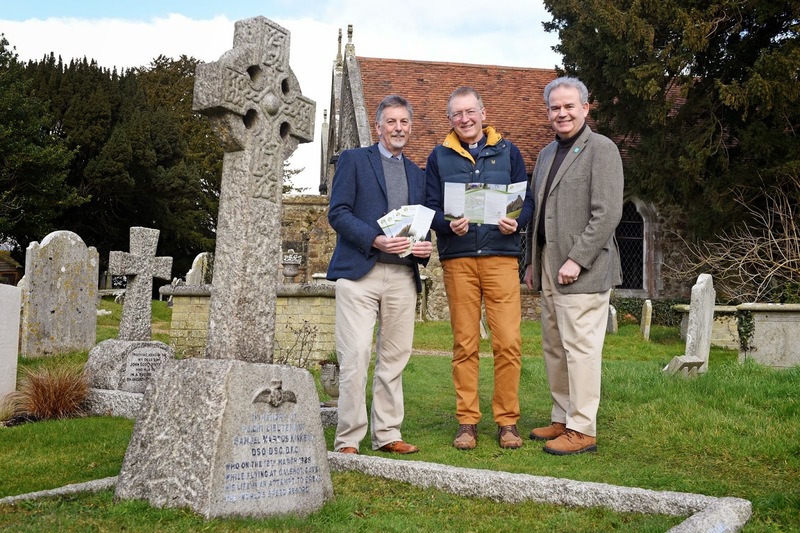 Frank Green, New Forest National Park Authority archaeologist, said: ‘The story of Samuel Kinkead gives a flavour of the fascinating history within the New Forest’s historical churches, many of which are featured in this series of leaflets. To find out more about the New Forest’s historical churches, and download your own copies of the leaflets, visit www.newforestnpa.gov.uk/churches. These leaflets are supported by Hampshire Historic Churches Trust. To find out more about its work to conserve old churches visit www.hihct.org.uk.